Last year gave us a wash-out and an umbrella ban. Bar difficulties, parched Bristolians, but an epic and atmospheric Massive Attack homecoming. This year, the sun shone upon the bottle openers of a thousand bar staff. A stockpile of cider cans ready for the first surge to the bar. Naturally tucked within a curve the magnificent Avon Gorge, The Downs festival was set for a day that boasted an impressive and eclectic roster. The main stage for live bands; the second stage for thumping DJ sets, with neither diluting the other despite their proximity. Thirdly, the newly added Information stage promised to enlighten and provoke thought. Cider in hand, we arrived just in time to watch Soul 2 Soul pounding out their club classic ‘Back to Life’. Over on the second stage, Mike Skinner got his head down to power out a diverse playlist of garage, grime, dubstep, and of course some teasing Streets samples including the unmistakeable thudding of Fit but you know it. Cider status: cans raised in the air. Standing in line for a burger for over an hour would usually have been catastrophic, however, with all the food stalls positioned so close to the main stage you did not miss a thing, and actually had a great spot. It helped that Burger Theories’ hairy beast was waiting for me at the end of the line, well worth the wait. There was plenty of other local Bristol food on site too including Gopal's Curry Shack and Biblos. To the people who pushed into various queues (an isolated incident but one worth mentioning), you should have been over at the Information stage learning something. You absolute melts. Borderline comatose with burger we waddled over to Groove Armada. The second stage headliners livened up the crowd and had everyone dancing to some classic Ibiza sounds! 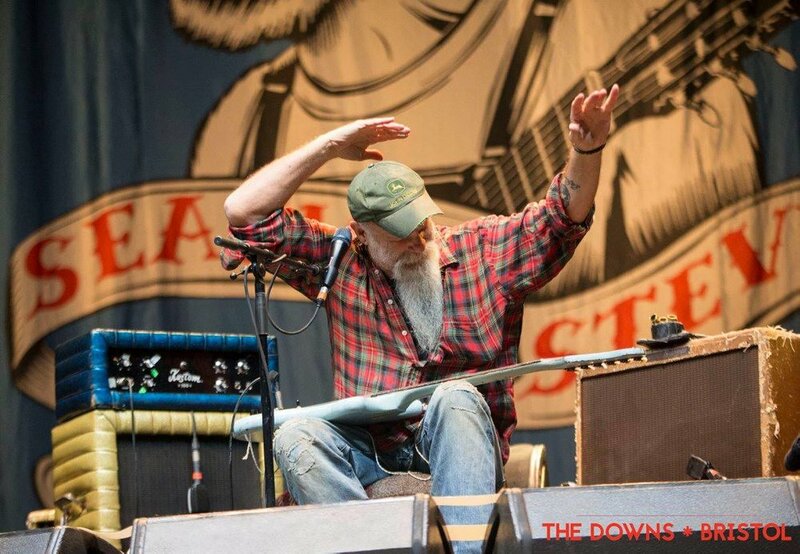 I did have to tear myself away for the main stage and the unmistakeable snarl of Seasick Steve. A rudimentary set up, Steve and a guitar, simple but captivating. Real raw music - no frills required for these blues! And finally...what we had all been eagerly waiting for, headline act Elbow! The charming Guy Garvey (mums love him) takes to the stage, with a full band and accompanying string section - the `crowd is electric! The tones something straight out of a musical. 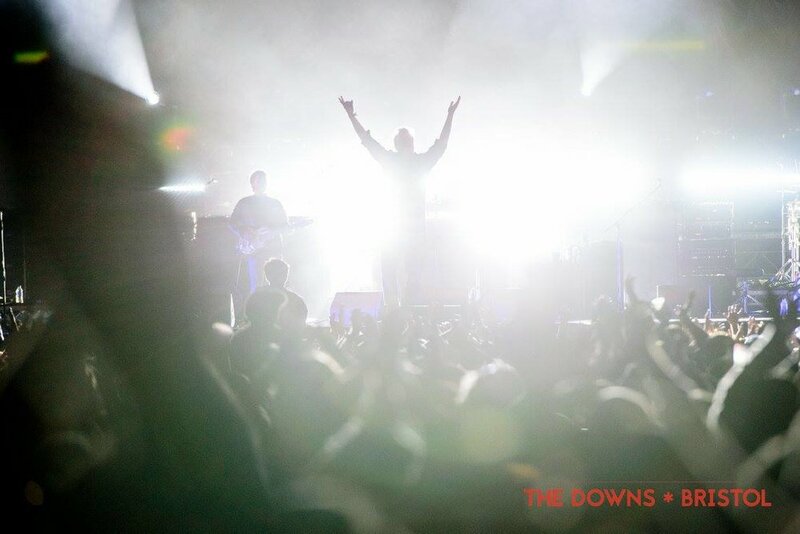 Everything was beautiful, from the staging, lighting, and the atmosphere on the Downs transformed. Guy Garvey – with a voice like being hugged by a glass of Merlot – clearly enjoying himself under the shimmering lighting rig, piercing the clear Bristol evening with shafts of light. The crowd got more than they bargained for, when two songs security were having to tackle a streaker off stage. Garvey wrestles him out of securities grasps and parades him back on stage for a slow waltz and a little squeeze much to the delight of everyone. Garvey opened the set with showcasing some new tracks from their latest album, ‘Little Fictions’, already popular with the eager crowd. Miracle, already a firm favourite from the new album is vintage Elbow.Before closing with the song that isn’t quite like any other song. Volume and force more at home in a Royal Blood set boomed across The Downs. A tearing riff from Grounds for Divorce shattering the light swaying and singalong atmosphere that had preceded. It. A fantastic end to the one-day festival. The crowds, who had been steadily streaming into the site all day suddenly dispersed disappearing into the darkness across the downs until next year.